From a young age, Cora was drawn towards a spiritual way of living and mind body connection. She loved yoga right from the start, exploring many different styles. It wasn’t until a couple of years later that Cora started practicing Ashtanga/Vinyasa yoga and the fluidity, beauty and meditative qualities captured her heart. Cora had no intentions of teaching yoga. She wanted to immerse herself in a training to deepen her own personal practice. Little did she know the universe had other plans. Cora has studied with many renowned teachers and is always learning and expanding her experience and knowledge of this lifelong practice by continuing to learn from her most favorite and influential teachers of the past and present. She decided to open Moksha Yoga Studio shortly after her son was born due to the lack of yoga in the Wellington Community. As the studio has evolved so has her teachings and practice. Cora not only teaches group classes incorporating intelligent and invigorating sequencing, good music and calming energy but specializes in working one on one. 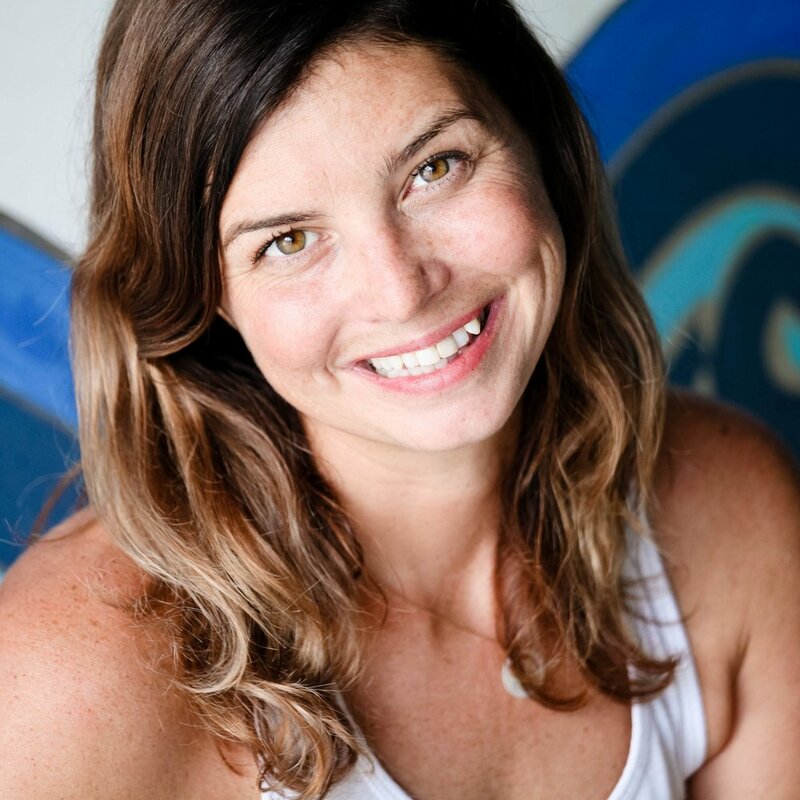 She works with professional athletes, celebrities and the local community using yoga as a tool to help address, assess and work through physical injuries and imbalances and foster a greater sense of awareness, healing and balance in the body and mind. Cora strives to bring yoga into everyday life by doing, evolving and truly living it, allowing peace and joy to flourish within and spread to others! On her free time you will find her traveling with her family, at the bottom of the sea or on a paddle board enjoying the beauty and experiences this world has to offer! John began practicing yoga 11 years ago as way to heal his body from years of sports injuries and weight lifting. After experiencing positive changes in his own body, John decided to start teaching to help others find healing for their bodies. He brings the discipline of the Ashtanga Yoga with the freestyle of Vinyasa to his classes. John encourages his students to find their edge through breath and focus. John has been teaching since 2012. He has a 200 hr Vinyasa certification from Moksha Yoga Studio and is certified in Yin. Always being passionate about health and wellness, and being a very spiritual person herself, Veronica instantly fell in love with yoga since day one. From then on, she became an assiduous yoga practitioner, realizing that it not only made her feel better on a physical level, doing things she wouldn’t imagine she could do on her mat, but on a spiritual and mental level too, on and off of the mat. At some point in her life, she felt the need to share what she has learned throughout this venture with the people around her and that’s how she decided to take a step forward to officially became a yoga teacher. Teaching and helping others to became more proficient on her practice became her new passion. Combined with her Health Coach career she has been inspired by her students and clients to become a better teacher and professional, and a better person above all. favorite style(s) of yoga to practice/teach: I dont really have a favorite. Each practice has its own way of harnessing/channeling energy, and I love what they all give my body mind and soul. It’s all about finding what works for you at whatever stage your in and finding the right teacher. Reflecting back over the past ten years I can’t help but smile. Despite all the hardships, challenges and set backs, there were so many more positive and beautiful moments to cherish. Yoga has been the back bone of my journey, keeping me whole through all of lifes ups and downs. Not only has yoga healed my back from a severe injury as well as kept me healthy and free of illness, but it has also opened my mind and shifted my perspective in profound ways. Allowing me to see the beauty in all of life and in all of me. I hope to share the wonderful power of yoga with as many people as possible. Anyone can rebuild themselves, they only need to show up and do the work. favorite style(s) of yoga to practice/teach: Love to practice any and all yoga and to teach styles that are accessible to all levels and interest. Angela allows the Energy of the Divine Source to flow through her as a spontaneous expression of rhythmic essence, guiding her fellow practitioners to learn and explore the journey of yoga. New depths of the connection of the body, mind, and Spirit, are enjoyed, opening up to the direct and personal experience of yoga. Combining her training in Sivananda yoga with her own style, her gentle flow-styled class intelligently blends proper alignment, healthy breath awareness, and the encouragement of a safe environment to celebrate life through a compassionate celebration of the body, just as it is at this moment. Honoring each moment, cultivating gratitude for all, practicing for Now. By allowing the mind to be free of self limitations, we are closer to connecting with the very essence of who we are, sparks of Divinity. Angela’s goal is for her fellow practitioners to go beyond the compulsion for perfect body form and uncover the insight of our true Self, enabling ourselves to live consciously in touch with our hearts and in harmony with all existence. Shhh. In silence, listen to your heart, draw deeply from the innate knowledge of your authentic Self. We are our own best teachers. Nina has been practicing yoga for 9 years, although she has only done it in a class setting with others for about 7 years. Inspired to take her practice further and gain more knowledge, she completed her 200 Hour Teacher Training with Yoga South. She feels that yoga, in many ways, changes lives, and really believes the first asana she ever did was the beginning of her journey to becoming her most authentic self. What she would like to, and hope to, bring to her classes is the very thing she has always loved about a yoga class: getting to a place physically, mentally or spiritually that she has not been before. She wants students to experience something new; whether it is simply doing their downward dog more correctly or finding the ability to do a headstand. She loves when students find something within themselves to empower them. Often in this day and age, after a certain point in our lives, we stop challenging ourselves. She wants students to have fun and give themselves some much needed attention and love that is often quite lacking in other types of physical activities. The best part is that in this time of play, they will likely start to work through some emotional blockages and possibly gain some mental clarity and insight without even trying, knowing or intending to! She hopes to simply be a vessel that will aid her students down a path to becoming their most genuine self. Cheryl has worked in the health and fitness industry for over 35 years, her career started as a group fitness and personal trainer. She has lectured and directed fitness training programs in both Europe and the USA and was an advisor for a Governmental health promotion program in the UK. In 2001 Cheryl began to specialize in flexibility training, postural alignment, and core strength. Cheryl and her family moved to the USA in November 2004. Her flexibility and core program have been a huge hit with all of our Moksha Yoga family, however during season you will find her classes filled with equestrians. This unique program has also been responsible for helping many back pain sufferers and her DVD’s Secret Back Pain Cure 1 and 2 and the Core for Life Program are best sellers on Amazon. The program has been accredited by The American Council of Exercise, The National Association of Sports Medicine,The National Strength and Conditioning Association and the Florida Board of Physical Therapy. Sheila went to her first yoga class in 1999 as a way to add stretching to her workout routine and has been hooked ever since. In the beginning she was all about the physical aspect and learning a “new workout”. As she learned to make the connection with body and mind the shift happened. She realized yoga is not about imposing a form on yourself, rather it is about discovering yourself through a form. The spiritual teachings totally resonated with her and yoga became a natural lifestyle instead of an exercise program. Sheila has been teaching since 2005 completing her 200 hr training in St Augustine at Discovery Yoga and her 300 hr training at Asheville Yoga Center in Asheville NC. She invites you to join her on Wednesday evening. Whether you are coming for a physical challenge, a spiritual connection, some laughs or all of the above it will be “your yoga”. Your body is your best teacher, learn to listen to it. Your mind is your biggest distraction, learn to quiet it! Megan began practicing yoga 5 years ago in Boston during her first year as an elementary school teacher. Megan has a passion for working with and inspiring children, and she soon found that yoga gave her the sense of peace and patience that she needed to be a good teacher. Yoga helped her feel both calm and focused, and she realized that was exactly what many of her second grade students needed. She started incorporating yoga into her daily classroom routine with ten minute yoga brain breaks, and noticed that it helped keep students focused and engaged in lessons. It also helped relax some of her most emotional students. The kids in class would ask for yoga when they felt restless or emotional and academic lessons improved when yoga brain breaks were given. The positive effects that yoga had on her classroom motivated her to learn more about how yoga could be beneficial for children. While teaching kindergarten at an American International School in Dubai, UAE, Megan attended a Kids Yoga Teacher Training. She began teaching yoga as an afterschool program to grades kindergarten through third. Megan has been teaching yoga for one year and is delighted to help children feel the benefits of yoga both inside and outside of her classroom. She is so grateful to have found Moksha Yoga Studio to continue her yoga journey. favorite style(s) of yoga to practice/teach: Practice: vinyasa, kundalini and ashtanga. Teach: Vinyasa, Slow Flow, Yin. Denise started practicing yoga over three years ago while she was living back in Ecuador. She fell in love with the practice, the fluid movement connected with the breath and an increased awareness of the patterns of the mind. She found a way to deal with and bring some healing to her anxiety and insomnia that kept her attached to pills. Over the years she keeps challenging herself with deeper poses, trying different styles and everything that brings her back to that state of mind where only the present exists and where self-love is what truly matters. That’s why she decided to step into the teaching journey, to bring some healing to the brokenhearted and create space for them to explore through the practice of yoga and exploring their relationship with themselves. She completed her 200-hour vinyasa certification with Om Yoga in West Palm Beach. Monica began her study of yoga more than a decade ago. Having been born and raised in Venezuela, she came to the United States in her late teens to refine her English and learn business skills that she could bring home to help with the family business. During her university years she became fascinated with the healing arts culture in the United States and after graduation chose to stay in North America to pursue certification as both a yoga instructor and neuromuscular massage therapist. Monica is a healing arts professional well versed in a holistic approach to mind, body and spirit. As a yoga instructor, she brings to her students a depth of experience in Hatha, Ashtanga and Vinyasa style yoga, having trained across the globe with internationally acclaimed yoga practitioners. She also maintains a practice as a massage therapist, specializing in neuromuscular therapy and is certified to teach Reiki. Further exploration of the medium has taken her on travels throughout Scandinavia, India and Europe, including a three month stay in Italy. Yoga has provided her with new tools to face the lessons in life, and new enthusiasm to explore the unknown. It is often said in yoga that you are as young as you keep your mind and spine flexible. Won’t you join Monica on a yoga journey and reclaim your youthful joy? Marie is a certified professional Kripalu Yoga Teacher, Holistic Lifestyle Educator and certified in the Yoga for EveryBody Method. She has studied and practiced yoga for more than 52 years and was first certified by Yoga International in 1978. Marie has also served on the staff of Kripalu Yoga Teacher trainings as well as numerous workshops and programs at the Kripalu Yoga Center. Marie’s all level yoga class and multi modality of teaching has developed from working with many master teachers as well as being a student of metaphysics for more than 40 years. She is dedicated to sharing with her students the power of moving energy thru the body/mind consciously with humor and grace thru asana, pranayama and meditation. In addition to her class time, Marie is also available for individual consultation and private lessons. She has successfully worked with individuals with challenges such as lupis, chronic pain, joint reconstruction and recovery. Combining personal insight, precise teachings and humor she holds the deepest intention to awaken others to their own healing power and to experience the joy of living more fully thru yoga. For many years, Jennifer explored different types of exercise as well as yoga, looking for a way to reduce stress and anxiety. After years of suffering with shoulder and hamstring injuries, she wound up in an Ashtanga yoga studio and learned to rehabilitate her body through yoga therapy. She quickly discovered that the benefits of this moving meditation went beyond the injuries themselves, enabling her to explore her inner child and overall life purpose without fear of judgement. In 2008, her journey led her to Moksha Yoga Studio, where, with dedication and an open heart, the mind - body-spiritual connection she was seeking for most of her life really began to come together. To deepen that connection even more, Jennifer completed Moksha’s 200 hour teacher training program. As a teacher, Jennifer’s goal is to keep yoga simple. In her classes, Jennifer encourages having fun with yoga, a lot of smiling, and hopes to be a source of inspiration. She likes to teach that yoga is not about how you look, but how you feel. She strives to provide an awareness to the benefits of each pose and breath so students can form deep connections to their bodies, starting from the outer layers of the body, working their way inward to the heart and mind. Still evolving and growing as a student herself, Jennifer is inspired by the teachers and students around her, and humbled by each student she is blessed to share yoga with. She truly believes that her students are undoubtedly her best teachers. Christine received her 500 hour yoga teaching certification through YogaWorks. Since then, she has been teaching yoga that focuses on alignment and body awareness. She is also a Yoga Tune Up Therapy Ball practioner and loves to teach her students how to release soft tissue tension using massage therapy balls. If you love to learn, you will love her classes. When she's not on her mat, you can find her hanging with her husband and her dog. Maria started practicing yoga while she was in law school and immediately fell in love with it. Finding a workout that exercised her body as well as her mind and my soul at the same time was a game changer. She kept practicing on and off as a hobby until 2013 when she decided to deepen her practice. She has dealt with chronic migraines her entire life and wasn't finding relief through traditional medicine. She decided to take a teacher training and fell in love even more with yoga and it's teachings. The most important thing that yoga has taught her is to always be a student. The opportunity to start teaching was presented to her so she took it. Since then she has dedicated her life to the practice of yoga. She loves everything that comes from this practice, getting to know her students, meeting new people and the relationships gained. 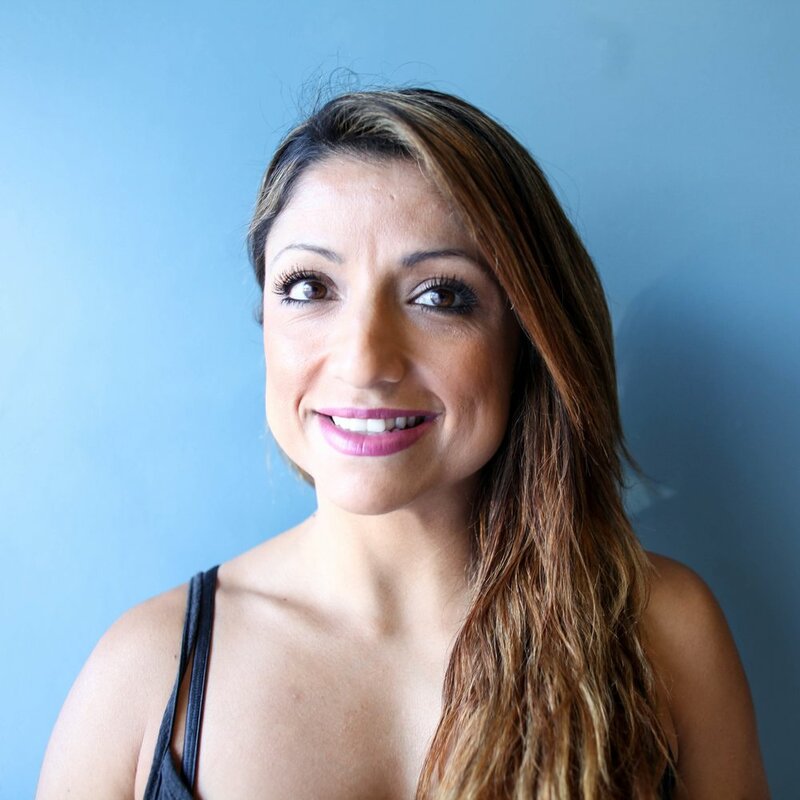 Tania started her life career as a physical therapist, which led her to become a massage therapist. Tania specializes in Thai massage and craniosacral therapy work with somato-emotional release. She started practicing yoga in 2002 and a year later took her first teacher training. Her education did not stop there and she continued and continues to immerse herself in other trainings, books and learning as much as she can about this life long practice. After figuring out how interconnected the body, mind and health are she decided to get certified in raw vegan food coaching. Her approach to teaching yoga involves different philosophies, where the focus is on alignment of the body, breath and mind while encouraging core strength in a vinyasa practice. Having been trained in mindfulness meditation, she also loves offering a yin/yang practice to really give the students the ultimate balanced practice.